Would you want to buy your next domain from garanntor.ng? why not? everyone would want to do business with the best local web hosting company in 2017. 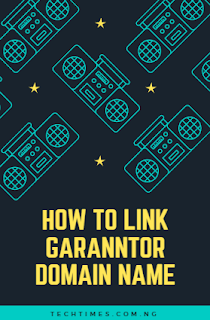 If you are about purchasing your next top level domain name please consider garanntor because soon this company will be competing with the likes of whogohost, godaddy etc on the international web hosting market. 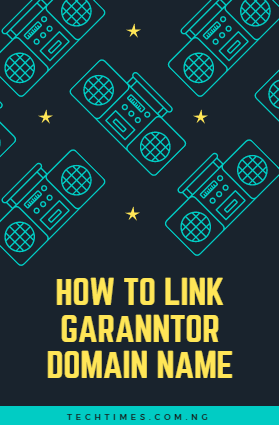 Garanntor do not only have a very simple domain name to blogger integration process but they an excellent customer support. In this article i am going to teach you how to manage your DNS settings after purchasing a garanntor domain name. Log on to your blogger account, go to settings and then navigate to basic. Next click on Publish>>"+ Set up a third-party URL for your blog". Type in the domain name you just bought from garanntor into the space provided, ensure you add 'www'.The usual error will show up "We have not been able to verify your authority to this domain. Error 5" - Don't worry it's all part of the process. On the DNS manager page, we are going to set up the DNS records for your new domain. Don't be confused, you will meet some records already set, don't worry about them, with Garanntor its all part of the process. Setting Blogger CNAME With Garanntor. You will meet some CNAMES already set. How to know CNAME? in the menu of records just locate any record under "TYPE" with CNAME. Now we are going to set CNAMES for BlogSpot blog. Next, move down and add new DNS record and you would find the name of your new domain under "HOST NAME". Now just above the domain name, type in "www" without the double quote. Then move to "type" and select "CNAME". Now locate "VALUE" under value, you will see "Address", Click under it and paste this code "ghs.google.com" without the double quote. Click the "Save" below and a new CNAME will be recorded. We will repeat the same steps taken above, we are going to set the second CNAME but this time, we will be using the specific code for our blog. 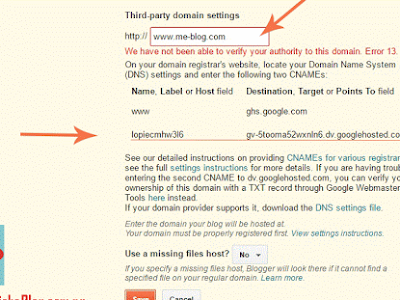 How to get specific DNS CNAME code for my blog?. Go back to the tab for blogger settings and you will see some codes under the Error code. They will look similar to the below one, simply add the first one under www (e.g bic537q5awot) as "HOST NAME", Under type select "CNAME" and set the one under "ghs.google.com" (e.g gv-rlr4pv33x7t7z2.dv.googlehosted.com) as Address. Once done, Save. Next is to create the IP (A) records for your blogger blog. To do this, go back to your Garanntor DNS setting page and follow the instructions below. We are going to set 4 IPs and I expect you to use the same method which I am going to show you for the 4. The IPs to be used. Go down to Add a new DNS record. Under "HOST NAME" input "@" without double quote >> Under type select "A" >> Under Address Input the first IP above (i.e 216.239.32.21) and Save. Use this same procedure to set the other 3 IPs. and Click "Save Changes" when done. After setting up the four IPs, wait for about 5 to 15mins (note: it might take up to 4hours) within this time, your domain name will be registered all over the web. After waiting for the required time, go back to blogger settings and once again click save. Your domain will save and won't give any more errors. Now you have to set blogger to redirect now www web pages to www. (e.g obhiabablog.com to www.obhiabablog.com). To do this. Go to settings page >> Basic >> Publishing >> beside your new domain, click edit and space will show up with "Redirect blogname.com.ng to www.blogname.com.ng. Tick this option and Save.